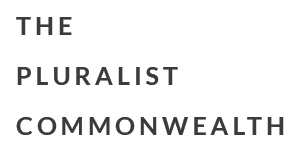 Gar Alperovitz launched his new book Principles of a Pluralist Commonwealth on June 1st where he was joined by Robert Borosage, the co-director of the Campaign for America’s Future. C-SPAn’s Book TV was on hand to film the talk. Gar argues that the U.S. needs an economic and political system that departs from both capitalism and socialism and discusses his model, the Pluralist Commonwealth.